Anybody here who knows what KKK of our Filipino history means? Well, who wouldn't, especially since it's one of the more colorful times of our revolution against foreign rule. 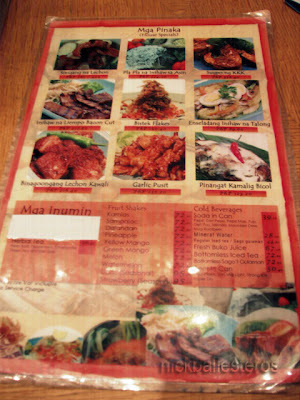 And what better ingenuity is there than a Filipino's to use the popular acronym on a restaurant with Filipino fare? 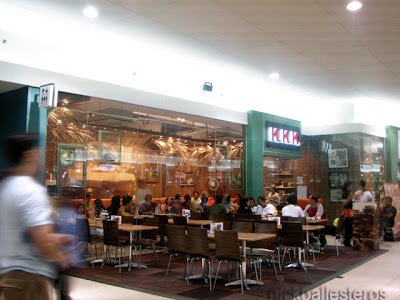 The KKK Food Revolution is a restaurant in SM Mall of Asia which we had the good chance to have dinner in. And we waltzed right in not because of reputation (for prior to this dinner, we've never heard of the place), but of curiosity. Yep, the large KKK sign and the bamboo walling was enough to pique our curiosity. Look at this sumptous bagnet! 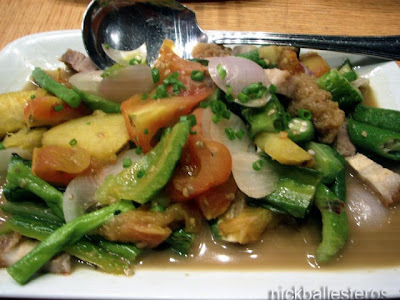 I loved their pinakbet. I like the rough cut of the veggies, the tender bits of pork, and the flavorful sauce. 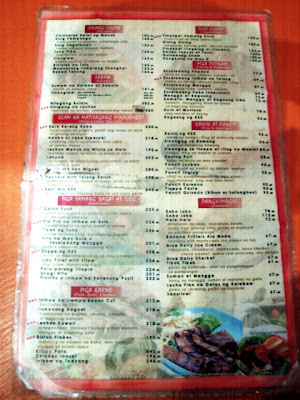 Want to take a peek at their menu? 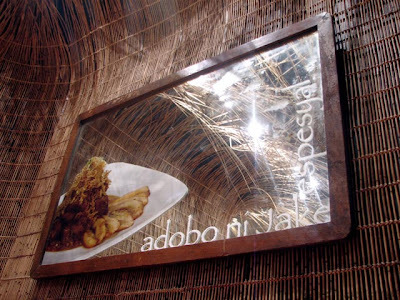 Oddly enough, we did not order their specialty, Adobo ni Jake. Perhaps some other time. We took our sweet time for our dinner, which enabled us to check out the orders of the next table which served two set of guests before we finished. For both guests, they ordered eggplant with bagoong which we did not have as well. Hmmm... now there are two reasons to check out this restaurant again. We liked the place and the ambience. It's a bit costly though. For our party of three, we parted with a little over 2 thousand pesos. Not exactly regular dinner allowance. I like the way their pinakbet looks. Yummy! perfect pair with the bagnet. 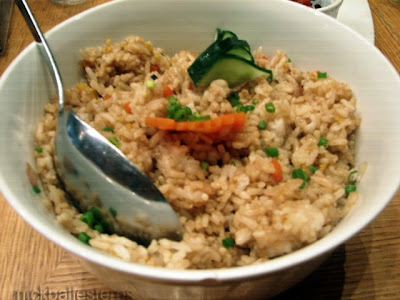 JMom: Yes, masarap nga sya. At yes, perfect with bagnet! Lino: Ang ganda talaga nung photo mo sa UP Sunken Garden! Di namin masyado naikot ang MOA at di nakita yang KKK na yan. 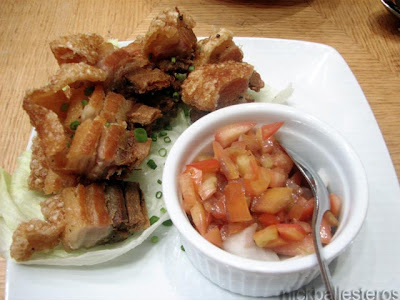 Miss ko tuloy yung bagnet ng ilocos. @watson:yeah try it. 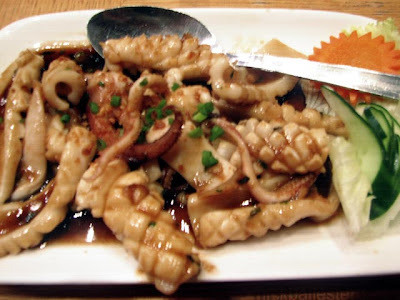 I wanna try that squid next time and their pancit.